Well, you need something different from the dual 110cc Activas. For something different, there is the funky looking Honda Dio. It looks like a proper college goers toy with all those funky decals and a sporty look. Check out what else the latest Dio offer onboard. 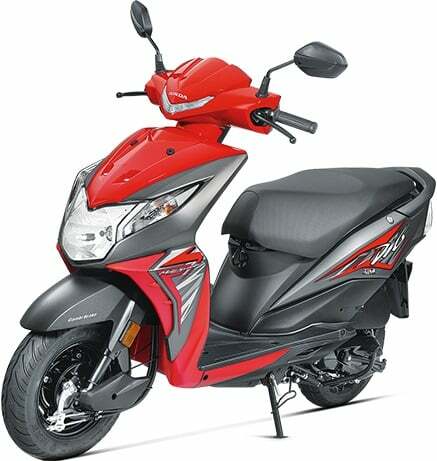 Unlike the usual Honda Activa series, the Dio is a bit more casual approach. And thanks to the latest update that it got, we get a lot more features now. The Honda Dio is a perfect youngster’s choice as it looks very modern. 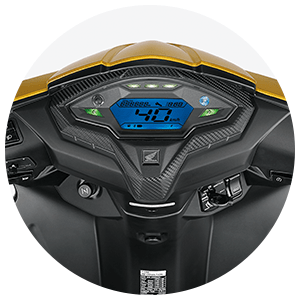 It gets features like LED headlamps, LED position headlamps, 4-in-1 lock opening switch, a fully digital speedometer, a charging socket, and some bits more. It comes in 2 variants and the top-spec variant gets all these features. The prices of Dio start from Rs 51,837 (ex-showroom New Delhi). 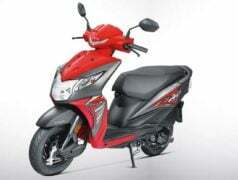 So, let’s check out the specs, more features, colors and images of the Honda Dio. The Dio comes in 3 variants – Dio, STD and DLX. 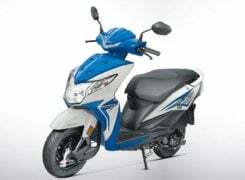 The scooter is priced starting from Rs 50,926 to Rs 53,292 (ex-showroom Delhi). 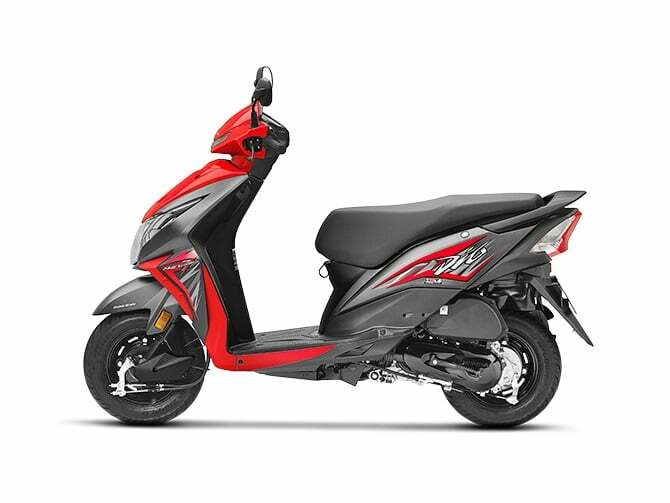 At this price, it is placed aggresively in the ever demanding 110cc scooter segment. While the design of the new Honda Dio remains true to that of the outgoing model, it does carry a handful of styling updates to look fresher and more appealing. First up, the front apron is new and the front fairing now carries a LED positioning lamp. Apart from this, the Dio gets a set of new decals, a new speedo console and two new dual paint options – Pearl Sports Yellow and Vibrant Orange. The DLX variant, which was launched recently, gets a different 4 colour scheme. Powering the new Honda Dio is the same 109.2cc engine that powers the other 110cc models. This engine produces a max. power of 8 BHP @ 7,000 RPM and a peak torque of 8.91 Nm @ 5500 RPM. The engine comes mated to a CVT. This is the same engine that also powers the new Activa 5G. The 2017 Dio is likely to have a top speed of 83 KMPH. 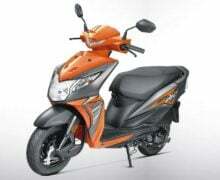 The scooter delivers a claimed mileage of 60 KMPL with a riding range of around 350 Kms. It comes with a fuel tank capacity of 5.3 Litres and reserve fuel capacity of 1 Litre. The top-speed recorded on this scooter is 83 Km/hr. Dio uses an underbone chassis. In the front and rear, it uses the tried and tested Spring Loaded Hydraulic type suspension. It comes with CBS with front and rear 130 mm drum brakes. The scooter measures 1781 mm in length, 710 mm in width and 1133 mm in height. It gets a wheelbase of 1238 mm with a ground clearance of 158 mm. The height of the seat is the same as Activa at 765 mm. It weighs around 104 Kgs. The light weight is because of the plastic fibre body it comes with. As it is a 110cc scooter, it competes with Suzuki Lets, Mahindra Gusto, Yamaha Cygnus and TVS Jupiter. 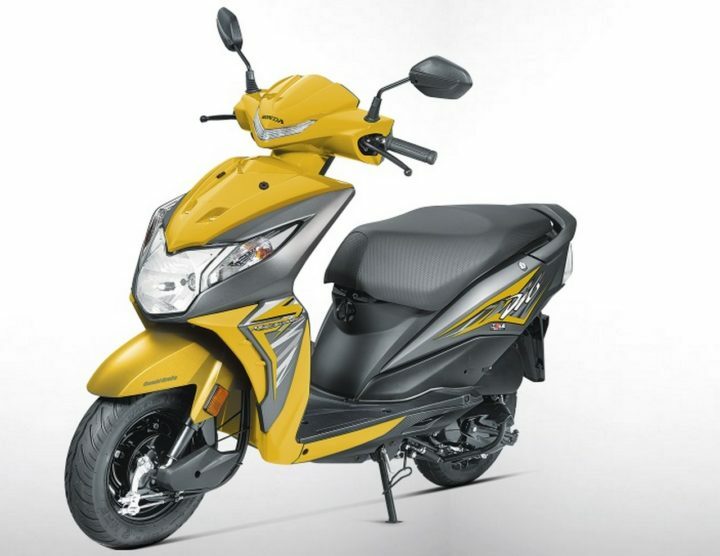 If considered broadly, all the 110cc scooters compete with Dio, but everyone does not offer the same sporty looks. It is priced aggressively at that price. However, Dio has its own set of followers, who happen to be mostly college goers. Stay tuned to CarBlogIndia for latest news updates on the upcoming cars and bikes in India.